A local band picks up her song from Youtube and soon she's along for the ride with her own fanbase as they blow up on the local club scene and hit the international charts. Though it turns out leaving Cam behind isn't as easy as she had hoped. I really loved this – it’s sweet, funny and I adored the romance! Perfect for fans of Audrey, Wait by Robin Benway or Awkward by Marni Bates – I wholeheartedly enjoyed it! I loved Poppy and her friends. All three of them shine in the story – the sensible Vanya and the slightly mad Mads – you could see how the three of them are such great friends. And I loved both Cam and Ty – I liked that the author doesn’t make Poppy’s choice an obvious one! Plus the story is seriously funny in places. Poo Bum’s first appearance is absolutely hysterical, as is Poppy’s dads reaction to her thinking she’s being cheated on! The family dynamic is awesome – I loved it! They tease each other but obviously love each other to death too. The romance is awesome as well. Although I would have liked to have gotten to know Ty a bit more I did really (really) like him. I also liked Cam too - he seemed sweet (and you come to realise that he might not be the bad guy after all). Ty’s story, and Poppy brush with fame makes me even more convinced I would hate it! I did love Ty’s ‘grand gesture’ though (*swoons*) And, of course, I loved the ending (I squeed a little) and it made me extra excited for the next book. I can’t wait to catch up with these characters. You can Add The Kiss Off to your TBR list on Goodreads! And here is information on the sequel! The money's in! 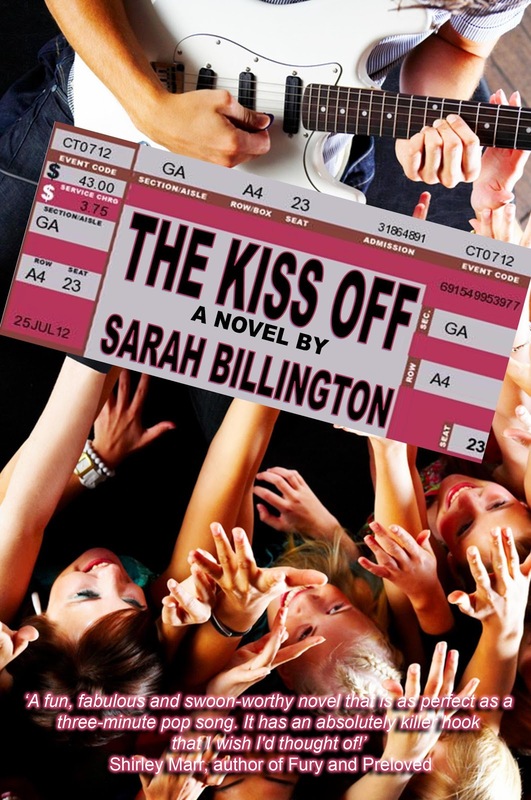 Poppy's royalties for penning the accidental hit song The Kiss Off that shot her boyfriend's band to super-stardom are in and she knows EXACTLY what she's doing with it. A road trip with an unexpected passenger. The realization too late that she doesn't actually like camping. A news-worthy (yet totally false) love triangle. And an overwhelming request from someone super-famous. THE KISS OFF 2 is coming 2013. Add The Kiss Off 2 to your TBR list on Goodreads! 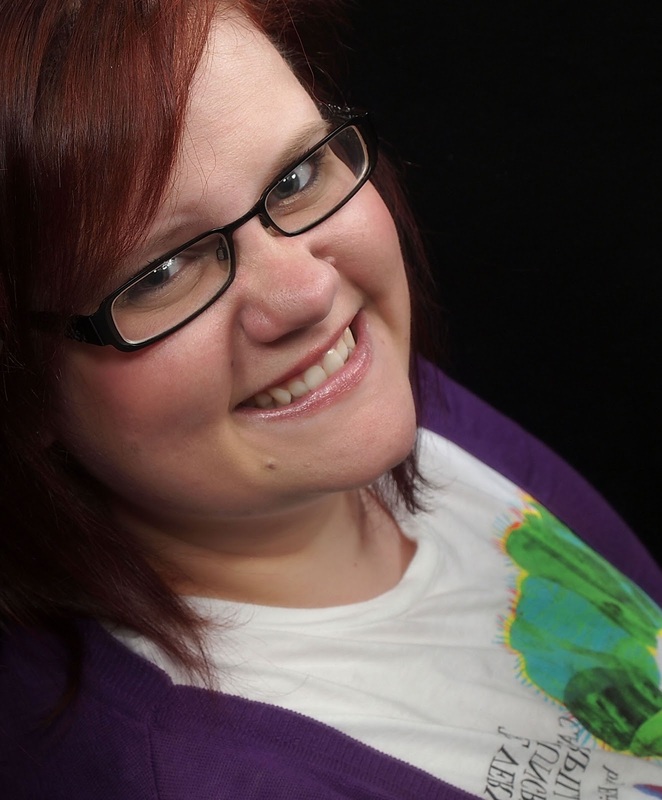 She loves a variety of random things, which include Swing Dancing, Ice Hockey, Roller Derby and is a bit obsessive about paranormal investigation shows and channel E!. Fancy buying yourself a copy? Giveaway ends December 07, 2012.